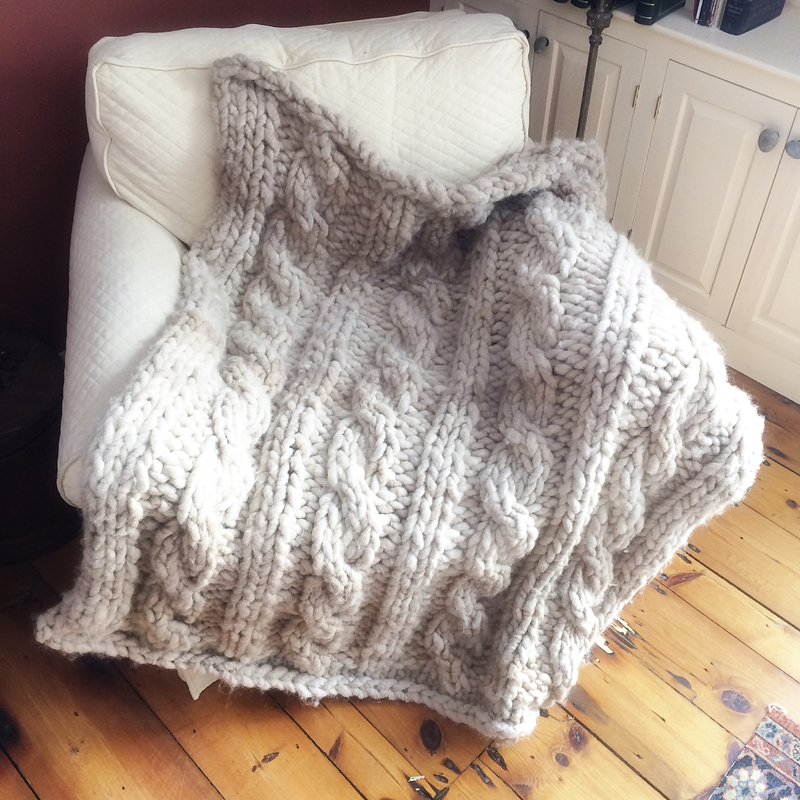 There is simply nothing more ejoyable than snuggling up beneath this ridiculously luscious afghan when the temperatures start heading south. Neither is it a hardship to work on when you are tucked under your work in progress and the snow is coming down and stacking up. Do the time and reap the rewards. 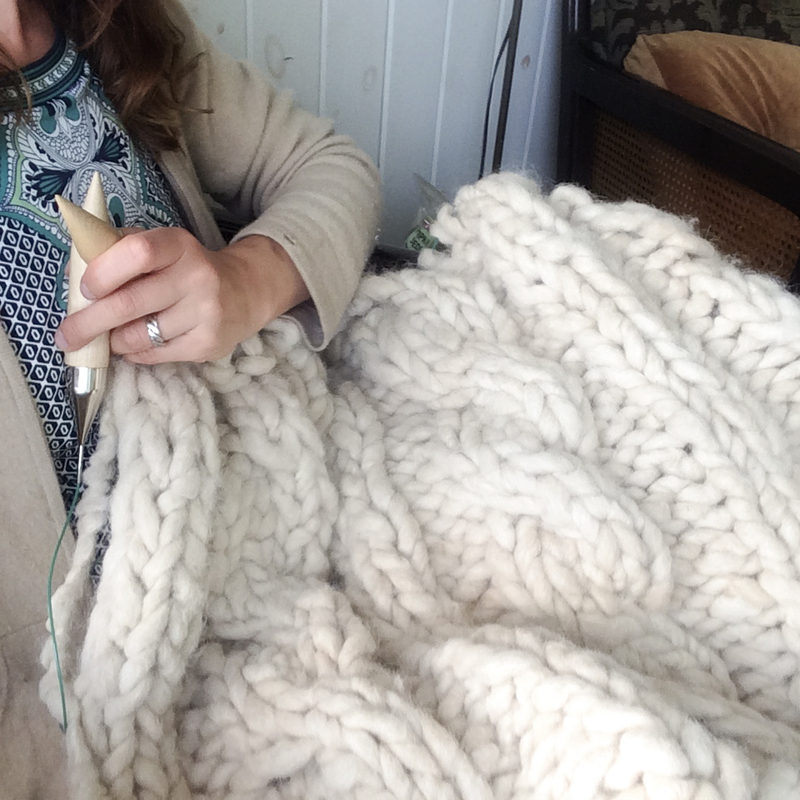 There is nothing more enjoyable to work with than core spun alpaca. 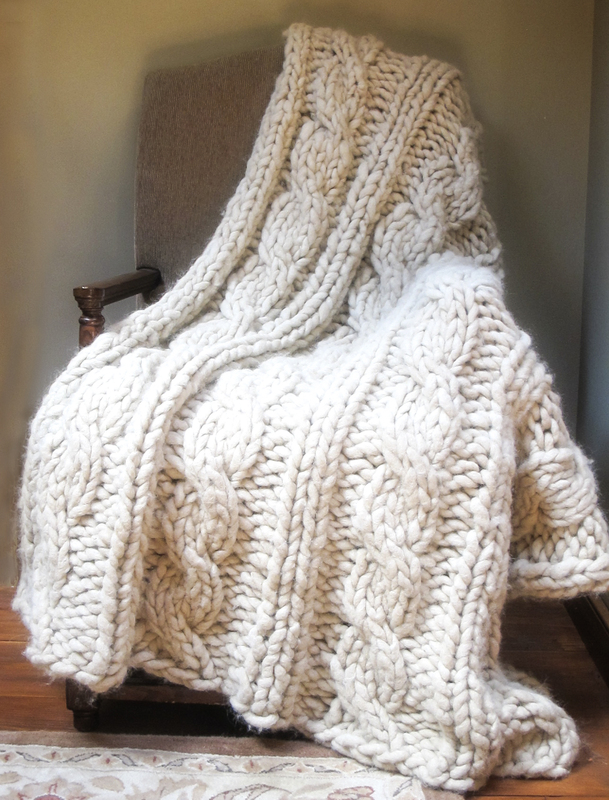 So luxurious and, given its heft, even this large project will knit up quickly. Your lap will will start feeling toasty in short order as your work progresses. 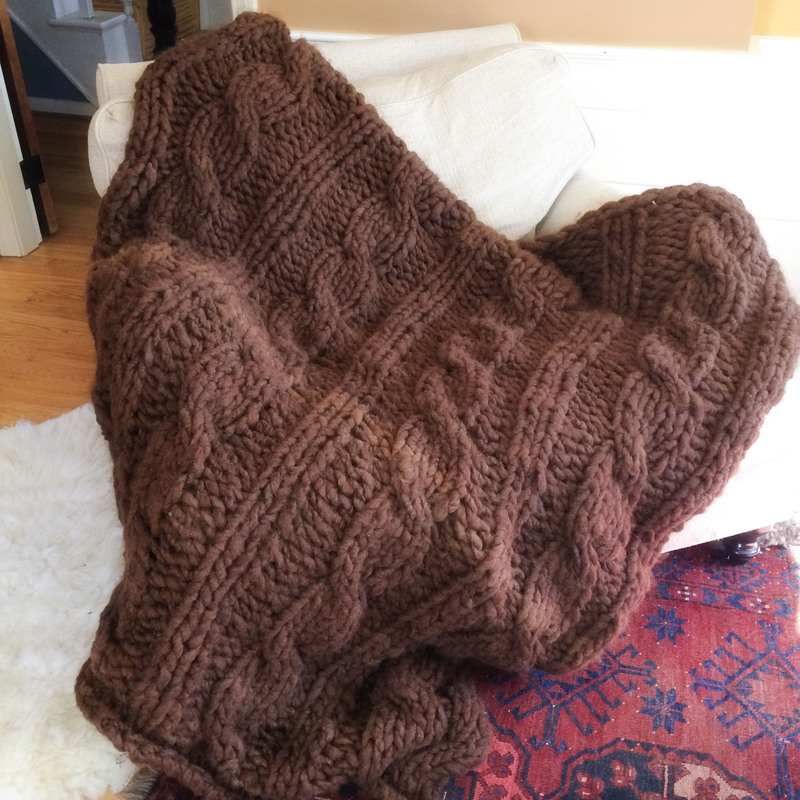 • Size 50 40” or longer circular needles. 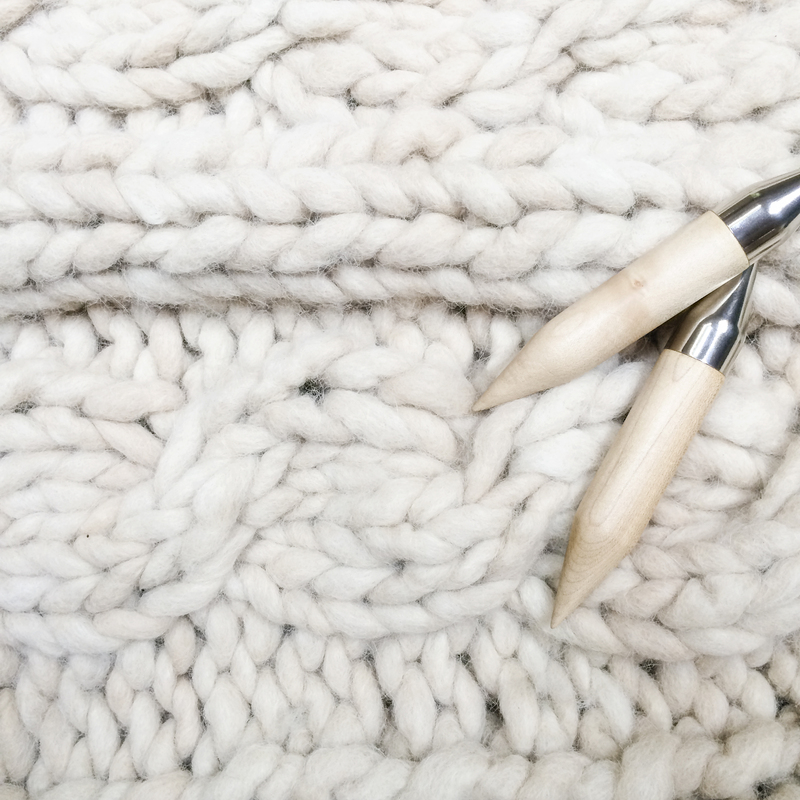 Even though this is knit flat, you’ll find it much easier to manage on circulars.